➡ NOTE: Be on our chat at least 30 minutes EARLIER! Hola Nachos. We’ve done it. We are into the finals. I am outrageously happy and proud of us; we’ve managed to have the chance to attend the very last tournament battle, but we must not relax; not now, not yet. After 5:00 EST, we will be able to chill out and enjoy the astonishing times we’ve had together in every tournament, but first, we have to fight a tough Final. This Saturday, we will be facing either the Light Troops or Thugs, as those two armies tied in their Semi Finals resulting in a rematch between them, just before the Finals. The winner of that battle will be our opponent in the Final. Both Armies showed during this tournament that they are entirely here for the win, but we must prove that we are the Nacho Army, the Army with the most Tournament victories and records, the army that wins every Tournament battle-we are the Tournament Gods. Now, this is going to be hard. We have to do better than we’ve ever had. We must max more than our current record of 150. Server Klondike will buffer from the massive size of Nachos. 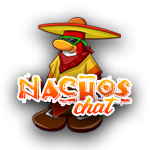 Its citizens will all gather to see the Nacho Army thrive. We will dominate the battle; no enemy troops will be able to enter the room due to it being full of Nachos. We will make the strongest building in the island collapse with our fast, powerful and smart tactics. If you like the Nacho Army, you MUST be there. 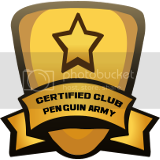 This is more important than Legofan Cy’s life. If we lose, I might die. Every single Nacho is required to come. PLEASE, I’m begging you to attend our last ever Finals in history! He the thing I want to come but I have state basketball.It all depends on how we do on Saturday. Plz dont be rude to me if I can’t! (bc i want to come :)) I will try my best! One more thing, Can u comment 1: Go Lancers and 2 Hope you can come! and like! I will be there! 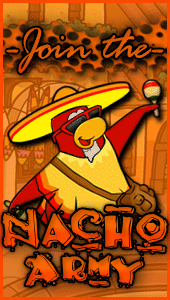 Let’s win this tournament and show that nachos truly are the greatest CP army of all time!